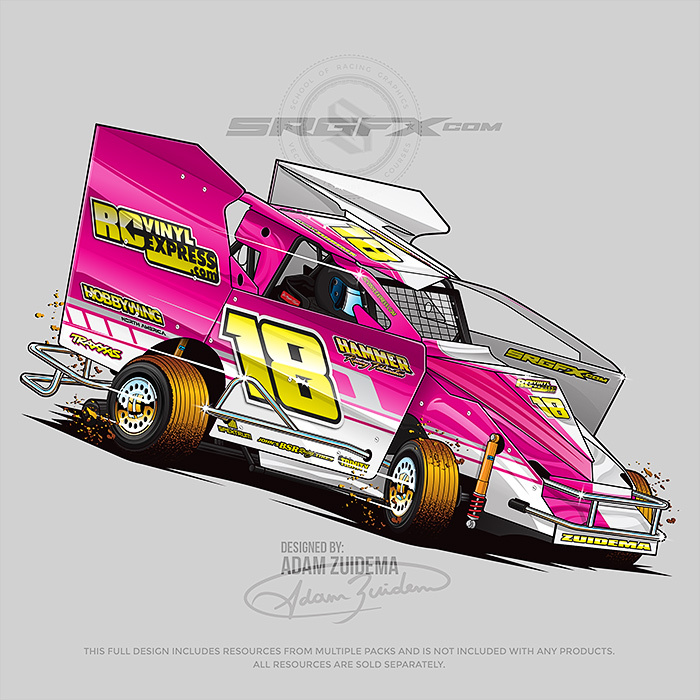 A Pink, yellow, and white number 18 Slingshot illustration. Perfect for t-shirts, banners and racing apparel. All resources for this illustration are available at schoolofracinggraphics.com.